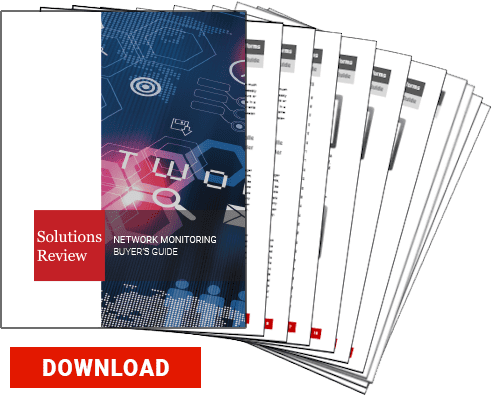 Solutions Review is proud to release an all-new resource for comparing network monitoring solutions, the 2019 Network Monitoring Buyer’s Guide. Solutions Review has developed this buyer’s guide to assist consumers looking for the best possible tool to fit the needs of their organization. This guide features 10 important questions to ask throughout the buying process, as well as full, one-page vendor profiles which provide a solution overview, three key features, contact information, and our own ‘Bottom Line’ analysis. Top providers highlighted include Accedian, AppNeta, CA Technologies, Cisco, Corvil, Dynatrace, ExtraHop, Flowmon, Genie Networks, Hewlett Packard Enterprise, InfoVista, Ipswitch, LiveAction, LogicMonitor, LogRhythm, ManageEngine, Monitis, NETSCOUT, Opmantek, Paessler, Plixer, Riverbed, SevOne, Solarwinds, Statseeker, ThousandEyes, VIAVI, and Zabbix. Network monitoring solutions continuously analyze networks, including data flow, nodes, and topography to examine performance. The tools examine every area of the network, including hardware such as switches, routers, and servers, and monitors their status in real-time. The monitors are capable of discovering performance issues and administering fixes to minor problems. A network monitoring solution also alerts network teams to larger performance issues that require more attention or in-depth fixes and patches. 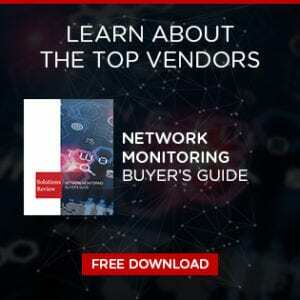 Enterprises that implement network monitoring solutions gain insights into their network that allows them to develop better network management plans. They can view the performance of their network infrastructure from a centralized location. Any network in the enterprise can be discovered and monitored, giving companies an all-in-one network analysis suite. With advances in the field such as AI and machine learning, network monitoring tools are growing in complexity. Despite this, the basics of any monitoring tool remains the same – they allow the network team to visually understand their network’s performance and maintain full end-to-end visibility. Download the Buyer’s Guide here.